It was this time of year in 2004 when I took over operations at the dark hole that was Bob’s Motorcycle World, and looking back, it’s been the best 10 years of my life. I don’t have the words for all the gratitude I have for our pals and customers for turning this dream into a reality. That dream ended up a little bigger than we initially planned, really. So Sunday, April 27, 2014, we’re hosting a party/bbq/bash to thank all of our friends, customers and fellow moto comrades for making Motoworks Chicago happen. What’s on the agenda? Check it out. What’s a gymkhana, you ask? It’s a low-speed obstacle course, performed on a scooter, and it’s more fun than is road legal. Our pals at the Windy City Patty Wagon will be serving up their delicious burgers. And lots of swag. Our friends at Rev It, Tucker Rocky, and others will be on hand with gear to giveaway, try on, and get smokin’ deals. 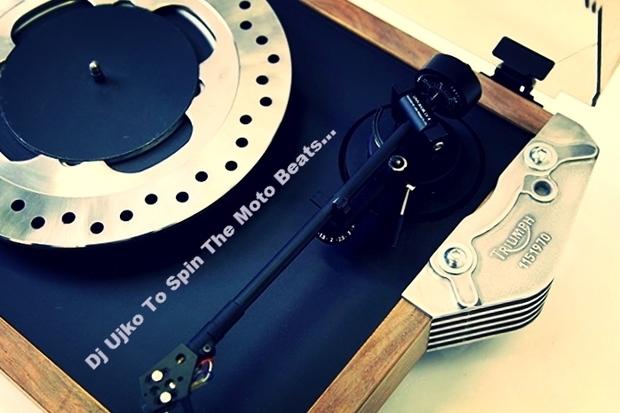 DJ Ujko will be spinning rocking tunes. The biggest attraction? All of you: our friends, supporters, customers, riders, the people that made this place happen coming together to raise a toast and celebrate motorcycling. See you there?